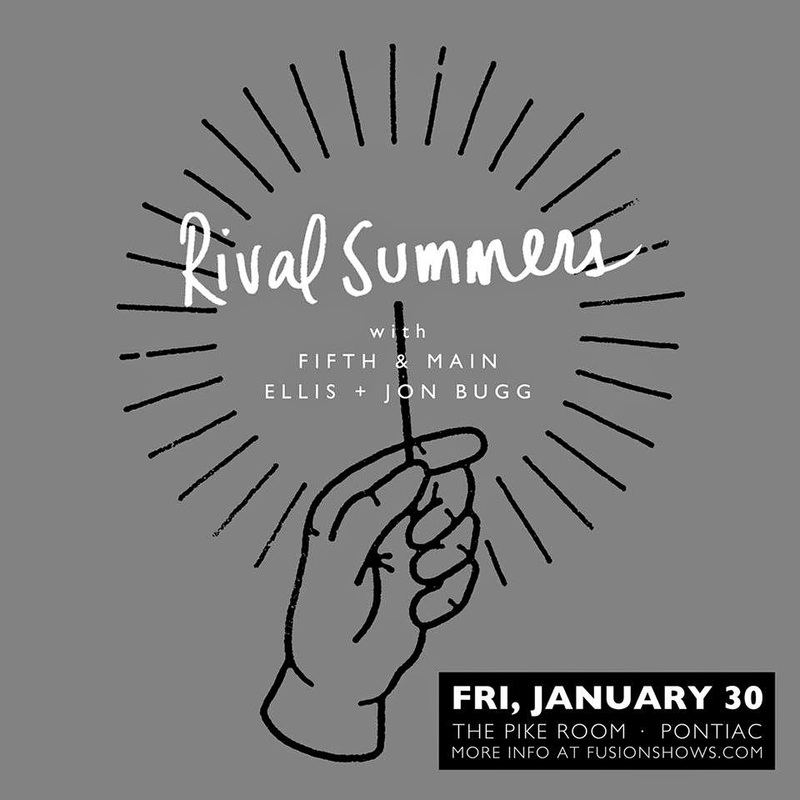 Next Friday, January 30th, Rival Summers is hoping to sell out The Pike Room for their first show of 2015. The band is so excited about the show that they have been all over social media talking about it and using the hashtag #‎selloutthepikeroom‬. So, just in case this show does sell out, we wanted to make sure we could get a couple super fans into the show! Rival Summers started out as a solo project of Leo Bautista back in 2008. Since, he has changed things up a time or two and Rival Summers is now a trio, featuring Leo, Sam Ridgell, Trish Chisholm. They have a poppy feel with songs that fans love to sing a long to. You can check out some of their tunes here. If you would like to see Rival Summers next week and help them #selloutthepikeroom, you can pick up your tickets in advance for $10 here. This show is being brought to you by Fusion Shows, so you know that means there are no fees, you'll just pay 10 bucks flat. If you want to risk it and wait 'til the day of the show, you can get in for $12 at the door. Joining Rival Summers for the evening are Fifth and Main, Ellis and Jon Bugg Music. Like we mentioned earlier, we also want to get some fans into this show for FREE! So, thanks to our friends at Fusion Shows, we are giving away 2 pairs of tickets. To enter to win, just email us at hipindetroit@gmail.com and tell us your name and why you want to win. Make sure you put Rival Summers in the subject line too. We will draw two winners a couple of days before the show and give them details on how to claim their prize. All ages are welcome to this show and doors are set to open at 7 p.m. The Pike Room is located at 1 S. Saginaw St. in Pontiac. See Singin' In The Rain at Midnight this Weekend! Zeke's Rock And Roll BBQ is Here!!!! See Zander Michigan Before our 3 Year Bash! What is it Really Like to be on Tour? Win Tickets to See Motion City Soundtrack! Shhhh. Don't Tell Anyone About Lumpfest! A Family That Lost Everything Needs Your Help! This Will Always Be Detroit Rock City!